SINGAPORE – Rates of workplace deaths and major injuries for every company will be published online, in a move to hit errant companies where it hurts. Clients, such as property developers, and workers will be able to compare employers’ safety records in the portal, which is expected to be ready within the next two years. The Straits Times understands that the Ministry of Manpower (MOM) will prioritise publishing the records of companies in high-risk sectors such as construction and marine. The ministry will also share data on work injury compensation claims with insurers, so that they can adjust premiums according to a firm’s safety record. These are among the recommendations released on Friday (April 5) by a group comprising government, employer and union representatives, which was tasked with coming up with 10-year strategies to help Singapore become a global leader in workplace safety and health (WSH) practices. Called the WSH 2028 Tripartite Strategies Committee, the group submitted its proposals on Monday to the Government, which accepted them on Wednesday. Committee chairman John Ng, who is vice president of the Singapore National Employers Federation, said at a press conference on Friday that a large part of the recommendations aim to transform business practices and mindsets on WSH. “Some employers are still convinced that WSH is a cost. They practice WSH from a compliance mindset and choose to do the bare minimum or only when told by officers from the MOM. “To be world leading, this misperception needs to change. Employers need to know how good WSH is good for business, and implement WSH practices because they truly care for their workers’ safety and health,” said Mr Ng, who is also chief executive of power generator YTL PowerSeraya. Currently, companies with workplace deaths are placed on MOM’s Business Under Surveillance programme and are listed online. With the new portal, companies’ safety records will be comparable side-by-side and data will be normalised by workforce size and industry. Minister of State for Manpower Zaqy Mohamad, a member of the tripartite advisory panel which guided the committee in its deliberations, said the idea is to create a culture where people procure services responsibly. “It gives greater visibility to market, in terms of who you work with, not just for service buyers but also for consumers if you’re interested to see whether the companies you work with are safe and are taking care of the safety of their workers,” he said. Providing more injury claim data could lead to higher insurance premium costs for some companies. But Mr Karl Hamann, president of the General Insurance Association of Singapore and a tripartite committee member, said that the goals to lower the fatality and major injury rates by 30 per cent over the next 10 years, will lower the number of injuries companies need to pool premiums for, which should lower costs in the longer term. 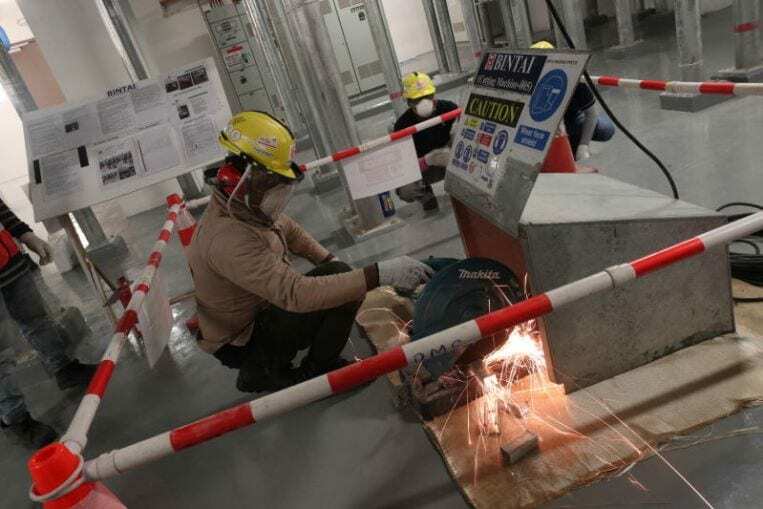 Singapore aims to reduce its workplace fatality rate to less than one death per 100,000 workers before 2028, a target set by Prime Minister Lee Hsien Loong in 2017. Last year, the three-year average rate was 1.4 deaths per 100,000 workers. – Reduce workplace major injury rate to below 12 per 100,000 workers, down 30 per cent from a three-year average of 17.2 per 100,000 workers. – Get three-quarters of workplaces to adopt upstream measures to remove noise and chemical hazards or isolate them from workers, up from the current 46 per cent. – At least half of all employees should have access to employer-initiated health promotion activities. – In high-risk industries, at least three quarters of employees should be covered by progressive practices reflecting the Vision Zero culture, up from about 60 per cent in 2017. These targets are aimed at a sustained lowering of workplace injury rates, preventing occupational disease, promoting good health and boosting the adoption of the Vision Zero culture – the mindset that every accident is preventable. Other recommendations by the committee include developing a WSH technology road map to help companies – especially smaller firms – identify emerging technologies which can boost safety and health, and expanding the list of occupational diseases that must be reported to the MOM under the WSH Act. The committee feels that besides safety, equal emphasis should be placed on health, said Mr Zaqy. “Chronic conditions like diabetes, for example, that are not well managed can also cause a worker to lose consciousness and therefore affect not just his safety but also the safety of his co-workers,” he said. Based on the recommendations, the labour movement will use collective agreements and other agreements with companies to institutionalise systems to report and learn from near-miss incidents, and set up WSH committees comprising workers and management. National Trades Union Congress assistant secretary-general Melvin Yong, a committee member, said this should encourage employers and employees to take ownership of safety and health, where workers feel safe to point out unsafe practices and request for work to stop for safety measures to be reviewed. He added that the use of technology to replace or reduce high-risk jobs will be a big boon for workers. The tripartite committee released preliminary recommendations last August, and also took in feedback from an international advisory panel of experts which regularly critiques Singapore’s WSH standards, practices and regulatory regime. The committee sought views from close to 3,000 people, including local and foreign workers, union leaders and designated workplace doctors, between July last year and January this year. Manpower Minister Josephine Teo said in a letter to the committee that she agrees that business interests need to be closely aligned with WSH, “so that management teams are intrinsically motivated to make their workplaces safer and healthier”. “It is equally important to prevent workplace injuries and improve workers’ health. My ministry will support businesses that have these twin emphases,” she said.